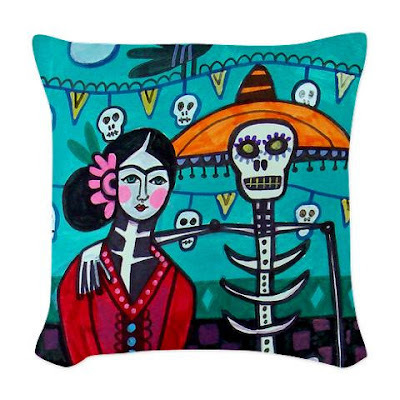 This sugar skull pillow is hand embroidered. I admire how much detail (and work!) they put into this one. This one is so silly! And quirky. I love it! 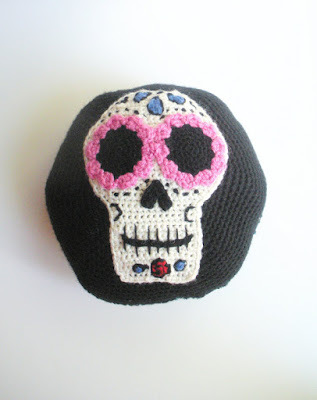 This sugar skull pillow is crocheted. 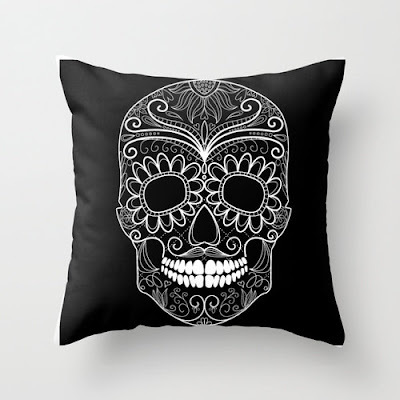 This sugar skull pillow echoes the current popular "chalkboard" trend. 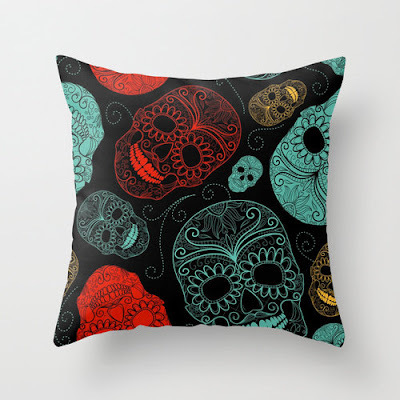 Prefer your sugar skull pillows to be extremely colorful? Here's one that's hot pink and fuchsia! 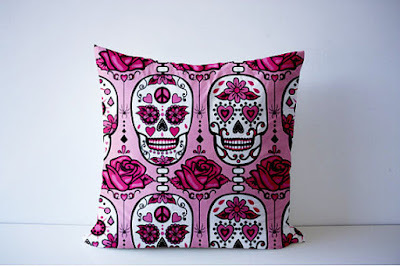 It's just a pillow cover, you'd have to find your own pillow to stuff inside it. 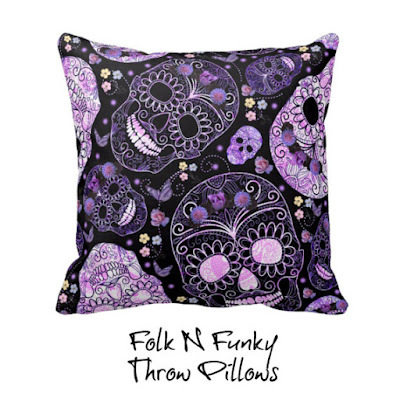 This black and white pillow looks a little Pirate Goth to me. Who doesn't love black and purple together? 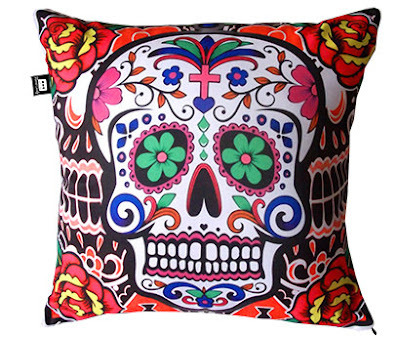 OK, so this throw pillow technically has no sugar skulls. 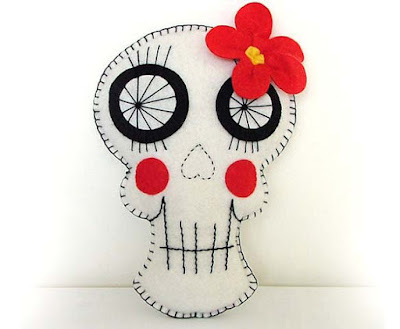 But I think it's so cute, with the folksy Frida and skeleton motif. This pillow has a lot of embroidery and embellishments! 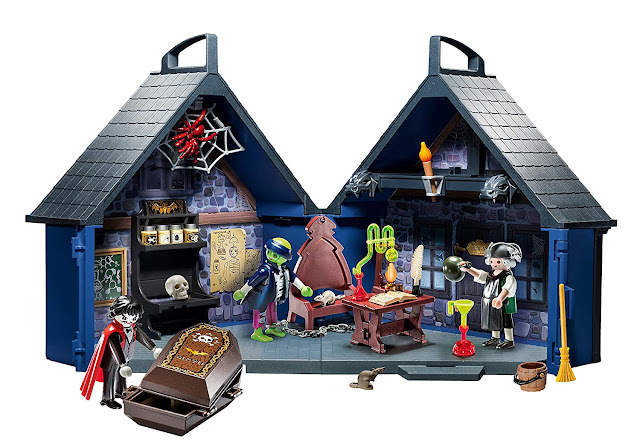 There's a similar one on eBay too. 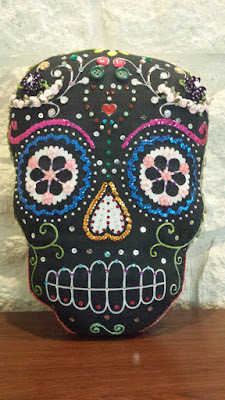 Here's another chalkboard style sugar skull pillow. I like how simply and clean and visually striking it looks. 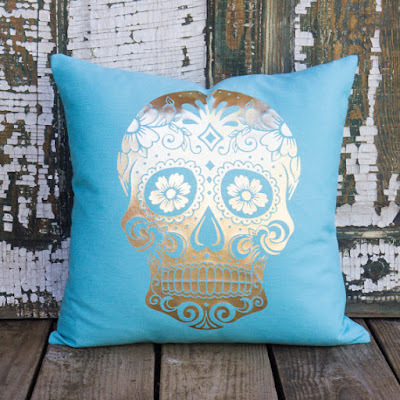 Here's a refreshing departure - a metallic sugar skull face on the pillow. 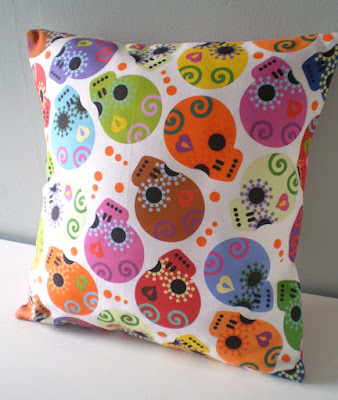 Here's a pillow with a colorful all-over sugar skulls print. 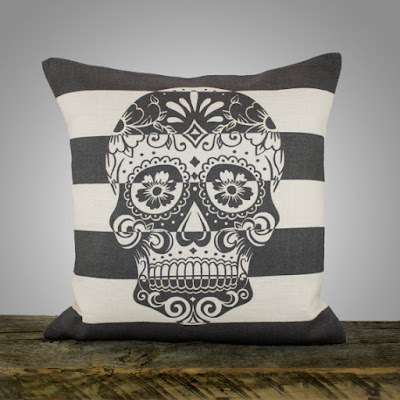 I love the contrasting color combination on this chalkboard style pillow. 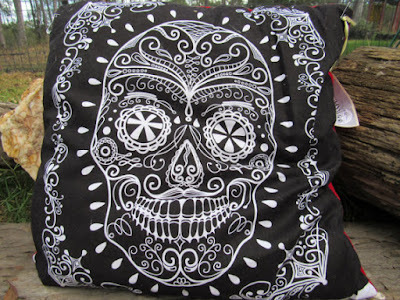 This round sugar skull pillow is by Sourpuss. 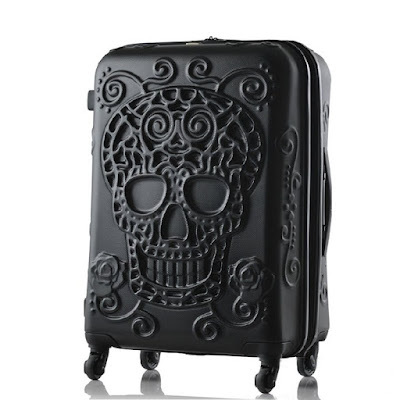 They also make it in black. 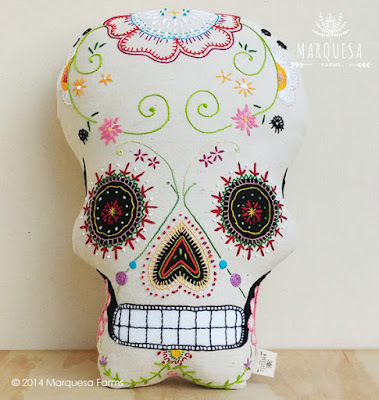 Here's an interesting textured linen sugar skull pillow.